First saute one onion in a little olive oil over medium heat until tender. Then add tomato sauce and wine and stir. Then add the Nektar Naturals (sugar works too), lemon juice, vinegar, water, allspice and salt and pepper. Lower heat to medium low and let simmer. Meanwhile, mix together ground chicken, minced garlic, diced onion, 1 egg, minced cilantro, breadcrumbs, and I added in a squirt of Sriracha because I put it in everything!! Addicted. Then form into little balls. Heat up a large skillet over medium heat and add in olive oil. Then brown meatballs on either side. This gives them extra flavor and helps them stay in ball form! Add them to the sauce, cover and simmer for 20 minutes until the sauce is thick and the meat is cooked through. Garnish with extra cilantro and serve hot! 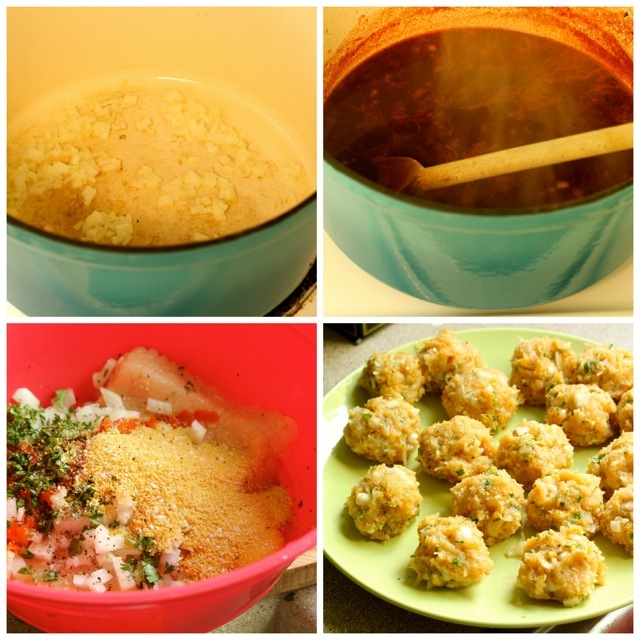 Bubbe's Sweet and Sour Meatballs with Chicken instead of Beef- so you can eat twice as many! 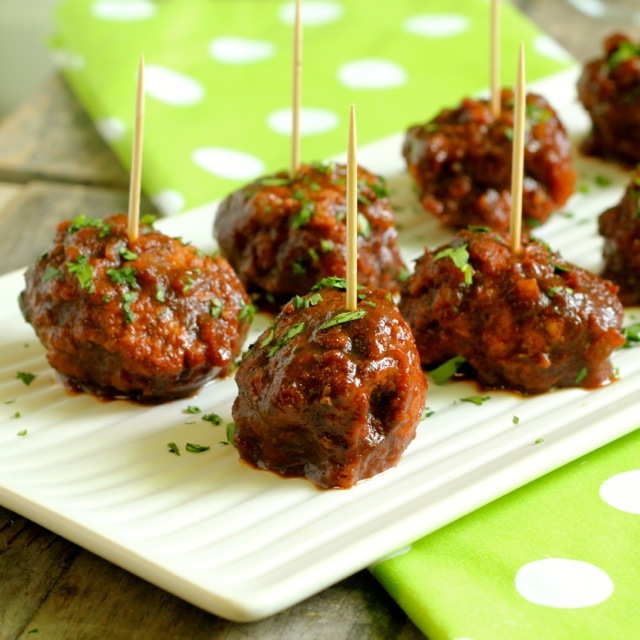 ¼ cup Nektar Naturals or sugar or more (1/2 cup total) if you want sweeter meatballs! First saute one onion in 2 tablespoons extra virgin olive oil over medium heat until tender. Then add tomato sauce and wine and stir. Then add the Nektar Naturals, lemon juice, vinegar, water, allspice and salt and pepper. Lower heat to medium low and let simmer. Meanwhile, mix together ground chicken, minced garlic, onion, 1 egg, minced cilantro, breadcrumbs, and I added in a squirt of Sriracha because I put it in everything!! Addicted. Then form into little balls. Heat up a large skillet over medium heat and add in ¼ cup olive oil. Then brown meatballs on either side. This gives them extra flavor and helps them stay in ball form! Add them to the sauce and simmer for 20 minutes until the sauce is thick and the meat is cooked through. What a clever idea for crystallized honey! I would sprinkle it on top of oatmeal raisin cookies. Or just about any cookie! I will have to look for it in my area. Definitely gonna try those meatballs too!! I would use Nektar on toast with my cinnamon and butter. YUM! It sounds like it would go with a lot of things though. 🙂 I would really like to try this recipe soon. I think it would be great in my moms kugel recipe! I “Liked” Nektar on Facebook too. 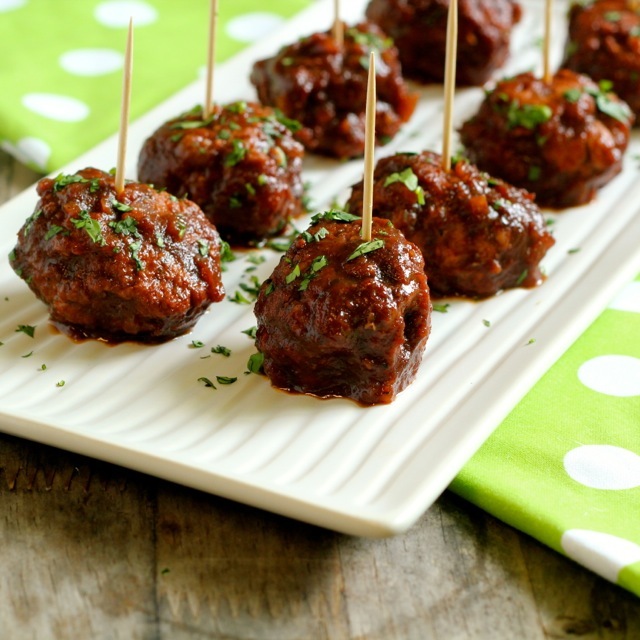 I want to make these meatballs immediately! I would use the Nektar in making a sweet dessert! 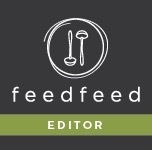 I subscribed; I found your blog through Pinterest and am interested in trying some of your “updated” recipes! Looks fabulous! 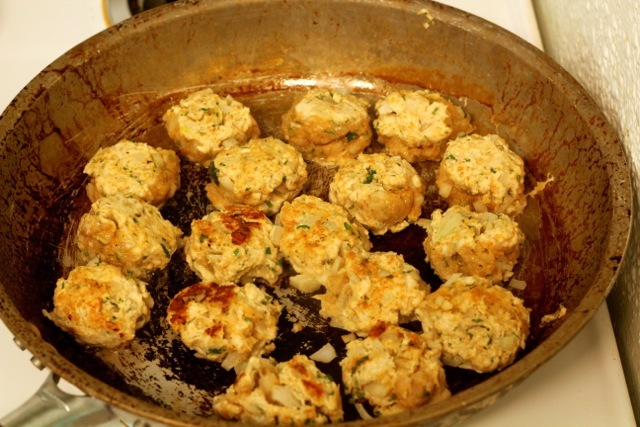 I would def try this recipe for meatballs! I already liked nektar naturals on fb. I would sprinkle on my plain yogurt that I eat for breakfast. These look amazing! I would try the Nektar in a couple of savory dishes that I typically use honey in – like my BBQ Sauce or my Parmesan Honey Pork, for example. 🙂 Yum! I would add Nektar to a smoothie made with fresh strawberries and nonfat Greek yogurt. I like Nektar on Facebook. That’s how I found out about this giveaway. I think it would an interesting to sprinkle on honey cake or cheesecake. Have to try this soon! I would use Nektar in banana bread! Yum! Liked on FaceBook, and subrlscribed to e-mails. 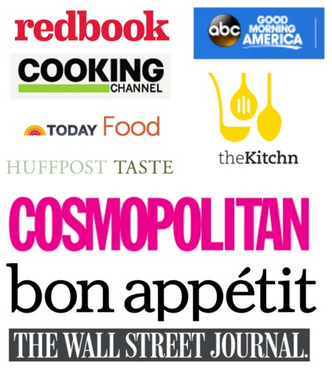 Cant waot for more delicious recipes!!! I would use the Nektar in the sauce for my Tongue Polonaise. I already subscribe to your blog. Keep up the good work. Nektar would be great for a honey cake! 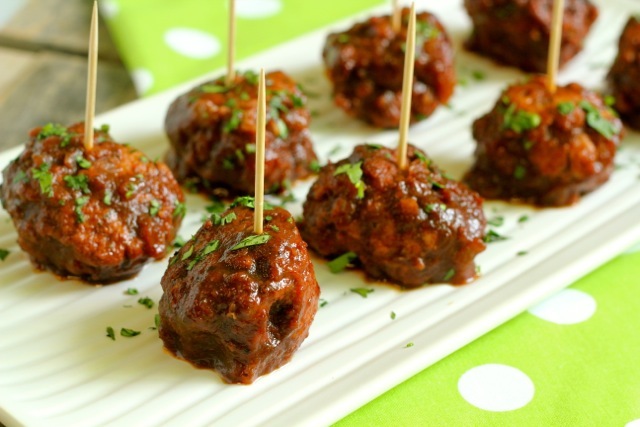 Honey in meatballs – who knew? Would definitely try that. Honey crystals…I think they would work nicely on top of muffins, perhaps. Also thinking that would work well in drinks – especially easy for tea. On oatmeal – yum. I would use Nektar in dessert recipes, like vanilla cake and sugar cookies. 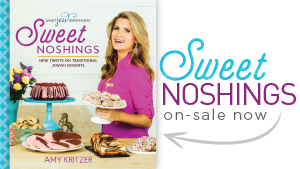 Could I bake with Nektar?? I’m thinking apple pie sweetened with it! Great idea to bake in the oven! Also, would this work with ground turkey breast? Thanks, Karen! Totally would work with turkey! I will use them to make smoothies! I would try it in an apple pie. I love all your yummy recipes! Could you please cook us a rye bread that tastes like a real deal deli rye bread. Thanks, Nat!! That’s definitely on my list! Some sort of dessert. I’ve never used it before. Would use my first use of Nektar trying out your fabulous recipe. Subscribed to your delecious e-mail list and like Nektar on Facebook! I would use it on graham crackers ………….. I would make some yummy French toast challah! 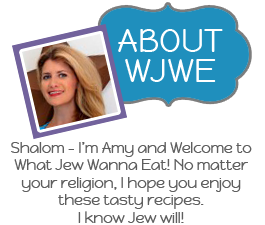 I already subscribe to WJWE! I just like Nektar Naturals™ on facebook! those meatballs sound great! I will try them! I had to admit I eat very simply and I don’t spend a lit if time cooking. However, I drink hot tea every night before bed and I really enjoy Nektar in my tea!!! 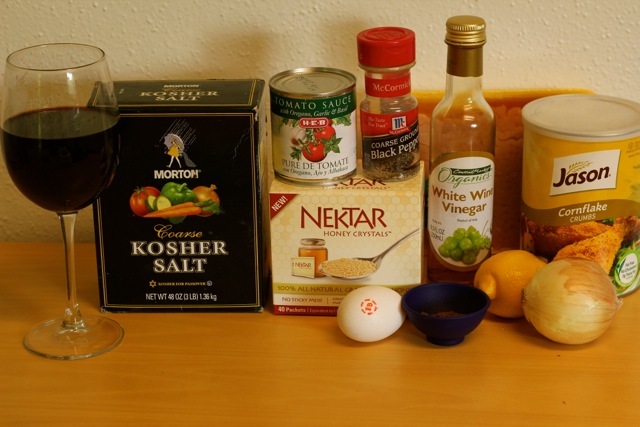 I’d like to try Nektar in a marinade for chicken with some lemon juice and garlic! I would like to try the Nektar crystals in my Apple Pie Milk Shake recipe! Yum!!! I already liked Nektar on Facebook. Thank you for the opportunity! Your recipe sounds fantastic. Making these RIGHT NOW. 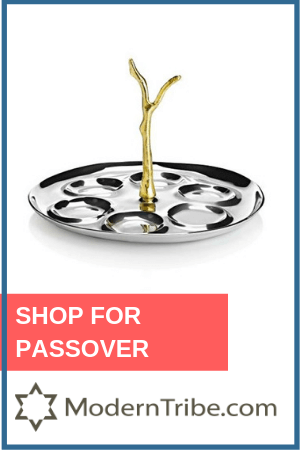 Shabbat shalom sister! Girl, they were awesome!! Had them last night and leftovers tonight. Ain’t no shame. Rather than making a mess with Regular honey, I would put it next to my desk for my tea. i am cooking for people who don’t like cilantro, can I leave it out or replace it? Yes! Parsley or nothing works too.